JAMB 2019 Results – How to Check JAMB UTME Result FREE. Welcome to MyJambcbt.org the No.1 Portal for all Candidates who want to write the Joint Admission and Matriculation Board, Jamb, CBT (Computer-Based Test) Examination. From here you will learn everything that has to do with Jamb CBT and the ability to practice the examination from your Phone or Laptop/PC. MyJambCBT will help prospective candidates to understand and get the basic features of the computer-based examination. 1.2.3 What You Must Know about Computer Based Test? Click on the “Check” button to view your JAMB Scores. The Joint Admission and Matriculation Board, JAMB, CBT 2018 Form will be On sale beginning from 22th November 2018 to 15th March, 2019. All interested applicants are expected to get their form on or before closing date. The Joint Admission and Matriculation Board, JAMB 2019/2020 Registration has commenced and it is expected to end on the January, 2019. The complete guideline on how to apply for Jamb 2019 Registration is available here. We are in the process of uploading our free JAMB CBT 2019 Software for all candidates, please check back in the next few weeks. With the help of the software, candidates can prepare adequately for the Jamb CBT examination. And for those who want to know what this software is all about, here is a little intro. The JAMB CBT PRACTICE SOFTWARE works Offline (yes! you have no need of internet connection to get started). It is an Electronic Preparatory Software, developed to help candidates prepare for the 2019 JAMB CBT exam. Not only will you be getting the practice app. here, you will get all the information regarding Jamb UTME, Jamb Brochure, latest news and a lot more. The Sales of Jamb 2019/2020 UTME form will close on the 22nd January, 2018. From those who do not know this already, Computer Based Test (CBT) is a modern testing procedure where each candidate answers their question directly on a computer system. Computer Based Test, CBT requires the participant to have basic computer knowledge of computer, which involves appreciation of common computer desktop icons, basic mouse use, as well as understanding important navigation arrows/keyboards. Apart from writing the examination on a computer/Laptop, the arrangement of the exams with respect to timing and level of precision also differs with the traditional way of testing. With Computer-Based Testing, your time is set and when it is over, your Computer will automatically shut down. 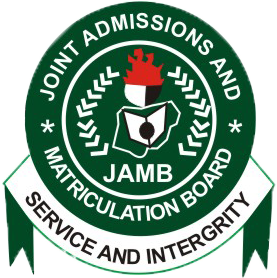 Below you will find the complete feature of the Joint Admission and Matriculation Board, JAMB CBT. This is really great and of great test, in the JAMB CBT examination. Since every candidate will be given a computer each, malpractice is completely wipe out. So with this new development, every student and candidate who are eager to sit for JAMB MUST enter the examination hall only with the approved examination materials. The computer will be as close as your mobile phone, so all the candidate will sit close to the computer system, maybe a laptop computer or a desktop computer. It is compulsory that you must be prepared by looking at the computer directly and immediately on the command by invigilators which will be detected as “START” you are advised to commence writing or you will be behind the bars. You know that some Exams like the ones mostly administered by PEARSON are strictly on computer based while some others may be dual, for example, you will be given both computer and paper. In the latter, the students or examinee is given examination question paper and they will be required to answer their questions on the computer unlike the former, the students or the examinee are not given any question paper. Here the questions are on the computer screen while the examinee chooses their see mingy correct answers by right clicking the RADION BUTTON. What You Must Know about Computer Based Test? It is vulnerable that we know that all computer desktops contain icons for simple computer user interaction with the computer system. It uses the WYSIWYG theory. i.e what you see is what you get. But depending on the type of test, the computer screen might be preset to the START page where the examinee will just have to fill in their personal details which are sometimes part of the exams itself. Here is actually the time that every exam commences on the command “START” and the time that the exam ends is the “STOP” button. Examinees should be very watchful of this button because there are very important. This is another great and self cautious period, when you will be asked to start, and also note that, the clock timer begins immediately to count, so if you are dull please get prepared and it also shows the progress of the exams. One thing that made it important is when you are rounding up and when you are almost true, all you have to do is to just take a gaze at the time and see for yourself. Another thing that marvels me most is that you will be indicated how many questions you have answered and how many are remaining. *. The “PREVIOUS” buttons also gives you the examinee the opportunity to go back to earlier answered question, so if you have unfortunately changed your mind towards the apparently correct answer. *. This is one of the most powerful button attached to CBT exams, the “SUBMIT” buttons is one of the most important buttons but the thing is that, if you get it clicked once, it shows that you are true, and you MUST cross checked your work by navigating through it unless you want score yourself. Some test may not fit on the screen. For these questions, a scroll bar will appear. To reveal the rest of the questions, either you use the mouse to click drag the scroll bar or click on the arrows on either end of the scroll bar. I think it is necessary for us to ask ourselves this hilarious question, which goes like “How Do You Choose the Correct Answers” Most times, the questions in computer based test are in the multi-choice format. You select one of the best answers by: Pressing the letter on the keyboard, Clicking the radio button with a mouse, or Use the Tab Key to move through the options and then pressing the space-bar to select an option. We are about to enter the second segment of the tutorial, so if you have not studied the first method or tutorial very well, then we advised you cross read it again. The Admission and Matriculation Board -Unified Tertiary Matriculation Examination (JAMB- UTME) 2015/2016 will begin in no time but you have to study this tutorial carefully because it will help you to pass the upcoming JAMB Computer Based Testing with flying colors. All the candidates who are about to write the 2018 JAMB should arrive at the examination venue on time, atleast an hour before the exams, to help cool your brain. Below is apparently coming from the JAMB Computer Based Test Tutorial Panel figure above, you will see different functional buttons and areas.#1. The Subject area: this is where the subject taken is located. #2. The Time (duration) for the examination. ⇒ Firstly, you are advised to put the heel of your hand on the table in front of the mouse. Then hold the mouse between thumb and the ring fingers. Put your index finger on the left mouse button. ⇒ Now move the tip of the arrow onto the underlined two. The arrow will become a pointing finger. ⇒ Then the arrow becomes a pointing finger. Hold the mouse still and lightly click the left mouse button with your index finger. ⇒ After which,you can click on the mouse Slide the computer mouse to the running mouse. ⇒ Now slowly slide the mouse sideways. please do not turn it. Then, click on the running mouse. ⇒ And you must note that the below buttons are the RADION ON (On) Button. This will be use to select the correct answer. Button 1 Button 2 Button 3 Click on them. Notice that only one radio button can be “on” at same time. To move to the next page, click on the radio button below. ⇒ You are required to click on the radio button that correspond to the correct answer. The proceed by Clicking on the NEXT button, which will take you to another question until you are finished. There are options for OMIT if you want skip the question for later consideration. For JAMB UME Use of English, you will need the Best Way to Answer Jamb Use of English Questions. ⇒ Candidates are advised to practice all JAMB Past Questions or syllabus to be conversant with the pattern of the questions. The above are suitable allowed to be read by those who are strictly ready and prepared to sit for the JAMB examination which is coming up next year. So if you intend to read it, please do it for the benefit of others. The above write up, was not done based on the English spoken or on lucrative purposes but it is to help the entire student who are currently eager to get admission into higher school by the help JAMB! So if you are here and you intend to sit for JAMB CBT, please do your best and read the above tutorial, because It will definitely help you. Wishing you all a wonderful examination success! Official: The Jamb UTME 2019 Examination Date has been Announced! Therefore all the candidates who applied for the exercise are advised to prepare adequately for the exam. 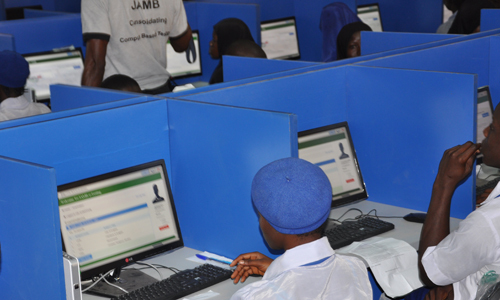 The JAMB CBT Examination will commenced from Click Here to read more. The management of myjambcbt.org will inform you when the Jamb results are released. We have created a page specifically for that. From our experience, Jamb result will not be released in a single date. Those who wrote theirs first will get their result within 24 hours. etc. You can like us on Facebook for more FREE goodies. Copyright © 2017. Created by MyJambCBT. Powered by Nigeria Universities.